Facebook has announced it's acquiring WhatsApp for approximately $16 billion (about £9.5b/AU$17.7b), bringing one of the most popular mobile messaging services into the fold of the most popular social media platform. The move "accelerates Facebook's ability to bring connectivity and utility to the world," Facebook said in announcing the acquisition. WhatsApp will continue to operate independently and will maintain its brand. Co-Founder and CEO Jan Koum is set to join Facebook's board of directors. Koum, fellow Co-Founder Brian Acton and WhatsApp employees will receive an extra $3 billion (about £1.79b, AU$3.3b) in restricted stock over the next four years. The deal is pending regulatory approval, but Facebook expects it to close before the end of the year. That's quite a while to wait for an acquisition that Zuckerberg said was hatched only 11 days ago. Facebook is no stranger to high-profile purchases; the company bought Instagram for $1 billion (about £599m, AU$1.1b) two years ago. WhatsApp has over 450 million people using the service every month, and 70% are active on any given day. According to Facebook's release, WhatsApp is on track to "connect one billion people," something aided by the fact that it's adding more than one million new registered users daily. WhatsApp's user figures have also eclipsed Facebook Messenger's in some international markets. During a call with investors, Facebook CEO Mark Zuckerberg said that the one-two punch of WhatsApp and Facebook "will allow us to deliver new and engaging mobile experiences." The purchase is clearly part of Facebook's "journey to become a mobile company." Koum said in a blog post that nothing will change for WhatsApp users, and they can continue to use the service as they have been. During the call, Zuckerberg and Koum repeatedly stressed that WhatsApp will remain autonomous. The world, Zuckerburg noted, needs both the informal email-style of Facebook Messenger and the SMS-replacing WhatsApp. The Facebook founder said there are mutual benefits to be had from the two companies being connected yet remaining independent. WhatsApp will maintain its Mountain View headquarters and the company's core messaging product will stay apart from Facebook Messenger. Messenger will continue to function as a standalone app. What's more, WhatsApp "exciting" product road map won't change, and Koum noted more features will arrive in the next 12 to 24 months. Monetization is not an area of focus for WhatsApp, Zuckerberg and Koum said. 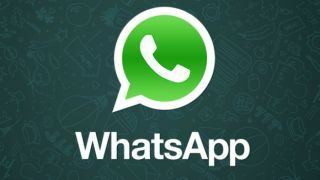 Instead, accelerating grow and connecting ever larger numbers of users are what the companies will focus on with WhatsApp. To that end, don't look for ads to crop up on WhatsApp anytime soon. If MySpace is measles, then Facebook's the flu.